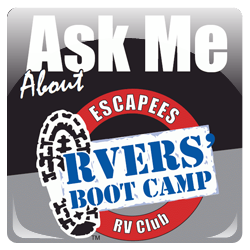 One other item you might consider is RV Driving School, there are instructors across the country and I believe also at Escapade. I took their course decades ago and felt it was well worth it. You will need your own truck and trailer though. For the future. Welcome Alice! When we initially decided on a retirement date to start full timing back in 2010 it took us a few months of researching to come up with what we felt was the perfect RV. We started in a large used fiver, took a break and bought another home, then sold out again and returned to FT in a class A. In others words, our wants and needs changed over the years somewhat. Keep looking on the internet for used RVs. I would not limit your search to just 30' pull behind TTs just yet. Your "must haves" could change as you keep searching also. For example, you want an oven. In many newer RVs they are being equipped with microwave/convection combinations eliminating the need for an oven. In place of an oven they can provide another cabinet or other useful space. Another thing to keep in mind no matter if you are looking at a TT, class C, class A, or a fiver, you want slides and if possible slides across from each other. When you have an RV with opposing slides (one on each side) it can open up a room to be around 13'x12' or more. Even with shorter RVs having 2 or 3 slides can really expand your living space. The one "must have" that we have always insisted on is a washer and dryer. I know some full time folks will claim they don't mind going to different public laundry facilities while traveling around but we have always found it more convenient/safer/cost effective to have our own in-house laundry. I could go on and on about this full time lifestyle. There will be much more you will need to decide on involving your mail, health insurance, taxes, registration fees, just to name a few. 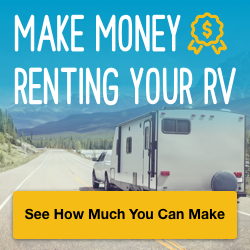 However, to my line of thinking the first most important step is to decide and locate that perfect RV with the perfect floor plan that you both think will work and fits your budget. Good luck! In 2010 I started dreaming of early retirement and fulltime RV living. Here it is 2018 and I'm still working - Plan to retire at the end of the year. 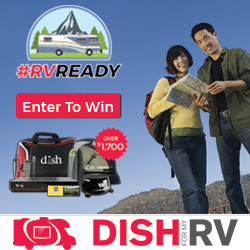 I have purchased two different RVs so far and plan to buy a totally different one for full-timing. I thought I wanted a class C after just looking online, but I first bought an older 26' class A -perfect for one or two, but I HATED driving it and grandchildren wanted to go along camping with me so it was too small. Next I got a small travel trailer with room enough for all to sleep, but too long for my Tahoe. Not to heavy, but too long. I now think a T@b will be perfect for me. If you want to see an excellent sampling of what types of trailers there are I suggest you check out RVs on Ebay. I probably wouldn't buy sight unseen, but you can view rigs of all sizes and types. If you are interested when fulltiming there are many volunteer jobs and paid jobs available. Amazon has a camperforce that works August/Sept thru Christmas. Volunteer.gov is a useful website as is work kampers news. Sorry... not 100% on the lingo. What is T@b? A T@b is a 15' teardrop style travel trailer made by NuCamp. Likely not for you two, but perfect for one fulltime or two on a vacation. Another similar brand is Little Guy. I just need a place to sit at a table, a place to lie down to sleep, a place to cook, room to stand up, and a bathroom. I don't want a trailer that is much taller than my Tahoe to cut down on surface drag. I may want to move to a 6 cylinder tow vehicle at some point when a new vehicle is needed. I live in a small (800 sq ft) house which is too large for me. 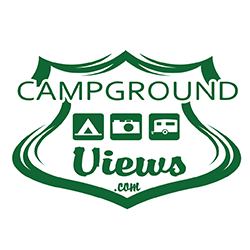 I believe thinking about it and dreaming about it for the past 8 years and touring many, many RVs of all classes has helped me narrow it down. I still like to look and stop at an RV place when I travel just to see if I find something I think I would like better. We did what barbaraok stated in her post, plus we had been rving since 1974 when we went fulltime in 2003. My wife would always take a Corele plate along with us when looking. If it didn't fit in the sink, we walked. We were looking at a KIng of the Road fiver in Indiana and the plate wouldn't fit in the sink and the salesman just looked in awe. We just kept narrowing down fivers. Fortunately, we finally narrowed it down after about 18 months of looking at fivers to makes and floor plans. The two makes were on the same dealers lot which sure made it handy. Also, when I went on to a sales lot I already had copped an attitude but the salesman we ended up with was a fulltimer and I will always remember his statement to us, "I don't know what you need or your requirements, I'll certainly offer a few suggestions if you ask". He then said " I'll leave you alone, all fivers are open, if you have any questions just page me, I'm headed back to my sales cubicle". That was at 9 AM, at about 12, we went into the sales office and told him we were going down the street for a little lunch, then we will return , and look more". That is what we did , then left about 3 PM, stopped by and told him which one we would buy the next AM in a phone call and we NEVER buy an RV or vehicle the same day we look at them. We did that 14 years ago and I guess like barbaraok, we did good as we are still fulltiming in that fiver. Haven't been to lots for years but what I see in RV parks and cgs where we stop, I sure haven't seen anything that I would want to replace what we have. Two things, don't be in a hurry, and make sure the floor plan will work for you, because if there is something that doesn't seem to work in that floorplan, believe me that it will raise it's ugly head and get only worse when you use it every day! If you are interested when fulltiming there are many volunteer jobs and paid jobs available. We spent much or our time as fulltimers in resident RV volunteer positions and even now that we have returned to part-time we continue to do so. We love the life as it gives us real purpose to our travels and we get to experience things that could not be in any other way of visiting. By doing this for 3 or so days each week we save a lot on expenses from the site and amenities they provide, and we get to actually know people who live in the various communities we visit, via the local volunteers at the sites. You can learn more about the volunteer lifestyle from our story on the website. We’ve been looking at TT’s and reading and researching... We’re looking at no more than 30’ and I’d like to keep it under that, but we have a few “musts”. 1) A walk around queen bed. 2) A decently sized bathroom. 3) An oven. Those are nice! Pricey but nice. Thanks everyone for all the information. We've looked over all the different trailer models. Glad to have the chance to see them. Our choices locally are pretty limited and we haven't even heard of some of the manufacturers. Turns out there's a dealer in the city in Colorado where our son lives that carries some of the Winnebagos we'd like to see. Comment on oven. RV ovens are not like home ovens in that there is no electronic ignition or standing pilot light. Each time you use the oven it needs to be lit. It is a bear to light. Mods can be made to install a piezo lighter kit to make it easier. Also RV ovens do not heat very evenly and are small. We have our pressure cooker and a lot of one pot meals we use instead. Also a large-ish toaster oven(can hold a 12" pizza). I need to clarify, I meant a standing pilot light, the oven needs to be lit manually. We never had much luck with our ovens over the years and have no oven in our current rig. We use the toaster oven which works fine for us. It is big enough to do baking and casseroles when needed. Okay, my Magic Chef RV oven has a "standing pilot light". It does have to be lit manually, but once lit can be left on as long as there is propane in the tank. Same with our Suburban oven, which is very common in RV's. Once the pilot is manually lit the first time, there is a "Pilot" position on the oven control knob that will turn the oven off, but keep the pilot lit for as long as you want. Like many folks we don't use our oven much so tend to turn the pilot off to save propane. But you can absolutely leave the pilot lit for weeks, months, or years if you choose to do so. In our past RV's both Atwood and Suburban ovens worked this way, and it sounds like Magic Chef does as well. We never kept ours lit because of the waste of propane, but then we normally were on the road Oct-Apr when you also needed heat and watched the propane usage. It was always so hard to light that we preferred not to use it. Also RV o﻿vens do not heat very evenly and are small. 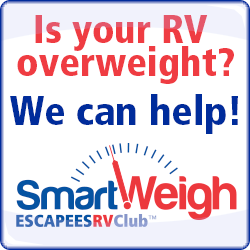 This is a very common complaint with RV ovens and my wife was no exception until we learned how to resolve that issue form these forums, years ago. The problem is that these ovens are built small and light in weight and so do not hold heat like a home stove's oven and so the temperatures tend to be uneven. That can easily be resolved by getting an unglazed tile just large enough to fit into the bottom or you can place a pizza stone under your baking pan and resolve it that way. On our previous RV, we had a red clay tile that just fit (12"X12" I think) which just stayed in the bottom. Our current RV has no conventional oven and we use a Breville toaster oven for all baking. We never kept ours lit because of the waste of propane, but then we normally were on the road Oct-Apr when you also needed heat and watched the propane usage. I once thought that also but have run tests and the pilot uses so little propane that it is very difficult to detect any difference in the length of time that a tank will last with it on or off. We kept ours lighted when sitting for an extended period but not while driving due to refueling stops and because it was never used then anyhow. We added a tile also but neither one of us liked to light the oven so we just stopped using it. Very happy without an oven and just using the toaster oven. But for the sake of the OP understanding a bit more about how RV ovens work, this is inaccurate. Agree? understanding a bit more about how RV ovens work, this is inaccurate. All of them that I'm familiar with have a pilot that must be lighted manually but which once lit will continue to remain lighted until the propane runs out, propane is turned off, or the pilot is turned off at the oven knob. I am trying to dispel the notion that an RV oven must be manually lit "each time you use it"
Thanks all. I was actually aware of the size and evenness issues and saw the clay tile/pizza stone trick online. I actually was under the impression that the oven did have to be lit each time. Nice to know that's not necessarily so. I grew up with a finicky old propane stove that my mom, and later I, had to light. I'm sure i can deal.